Arizona Cardinals cornerback Patrick Peterson. When the football gods close a door, they open a window. In the Eagles' apparent ongoing search to add running back help before the October 30 NFL Trade Deadline, it seems as though Howie Roseman and Co. have hit a snag, at least with one potential trade partner. According to NFL Network's Ian Rapoport, the Bills not only plan on keeping former Birds running back LeSean McCoy through the end of this season, but for next season as well. And that makes sense when you realize he's only due a little over $6 million in 2019. It had previously been reported that the Eagles had reached out to talk to the Bills about the veteran running back and all-time leading rusher in Philly, but after head coach Sean McDermott and McCoy both shot down the idea of a trade ahead of the deadline, it was beginning to seem less and less likely that a deal would be made. Furthermore, according to Rapoport, the Bills want to keep McCoy, who has yet to find the end zone and has recorded just 234 yards from scrimmage this year, for a couple of other reasons. First, he's reportedly well-liked in that locker room. And second, the Bills believe having an established running back will help rookie quarterback Josh Allen develop. In other words, they seem content keeping Shady in Buffalo. With the McCoy door all but shut, there are obviously other options for the Birds — like Le'Veon Bell for example. But there could be another trade option for Roseman and the Eagles, who now have a little salary cap space after restructuring Fletcher Cox's contract last week. This one, however, is on the other side of the ball — but it would help remedy one of the things that has been ailing the Eagles most through the first six weeks of the season. According to Jason La Canfora of CBS Sports, the Cardinals are going to be one of the most active teams prior to the deadline. 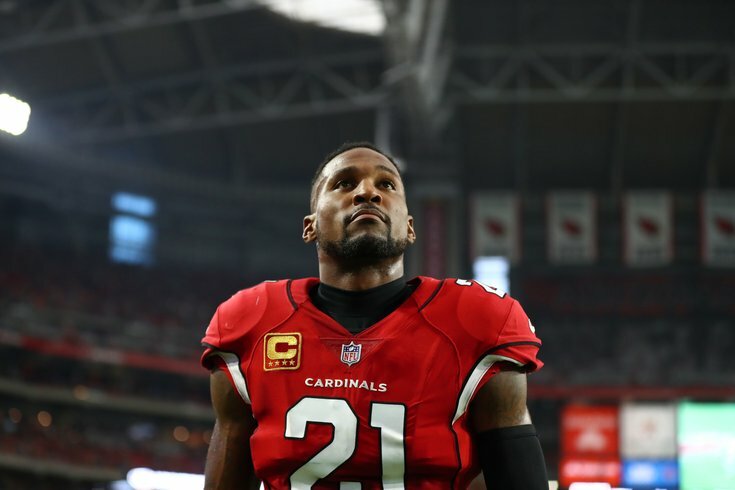 And one of the players they could be looking to move on from is 28-year-old cornerback Patrick Peterson. And any team looking to acquire Peterson's services may have to pay a hefty price up front, because one of the most enticing things about the Cardinals cornerback is his future salary, which is extremely team-friendly. This year, Peterson, a former fifth-overall pick, has recorded 24 tackles, a sack and an interception in five games. Now in his eighth season, the former LSU star has been named to a Pro Bowl in each of his previous seven seasons and has been named an All-Pro three times. Of course, if the Cardinals are really looking to deal — and Howie Roseman's No. 1 priority remains adding a running back, like he did last year with Jay Ajayi — then maybe the two teams can work out something for David Johnson. It all depends which window Howie wants to climb through. But, hey, at least there are options.